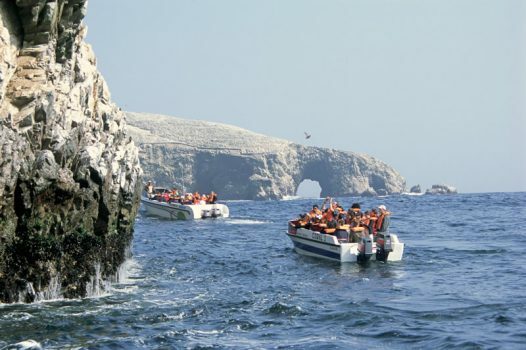 Paracas is one of the highlight’s of Peru’s southern coast, along with Nazca and Ica. 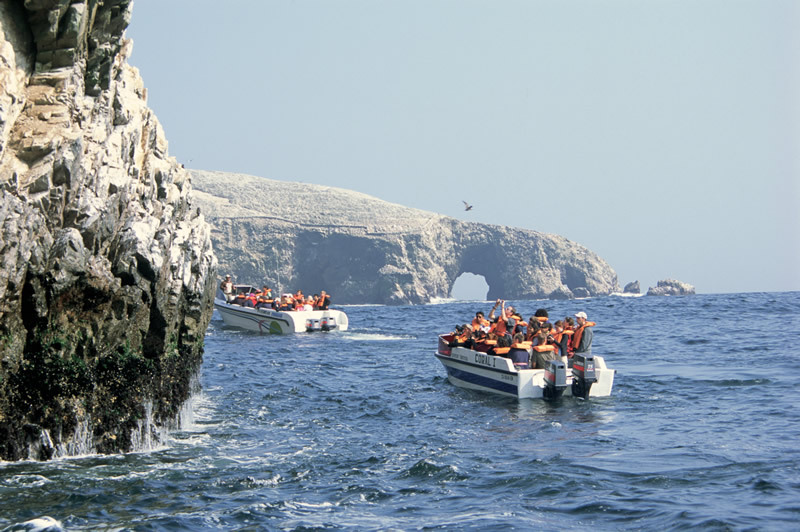 Paracas draws visitors for its warm climate – the annual average temperature is 24ºC (75ºF) and the sun shines almost all year in Paracas. 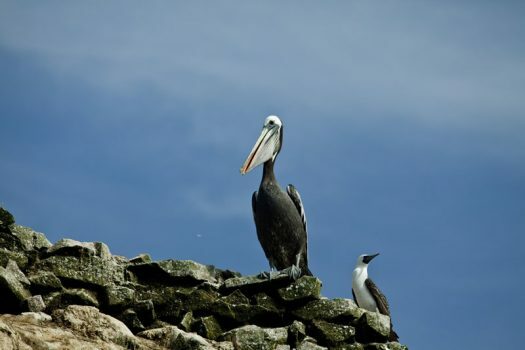 The Paracas National Reserve, Peru’s only marine protected area, extends over a total 335,000 hectares; it was created with the aim of protecting large breeding populations of Humboldt penguins, South American fur seal and sea lions as well as 63 migrant bird species for whom this area is an important stopover. 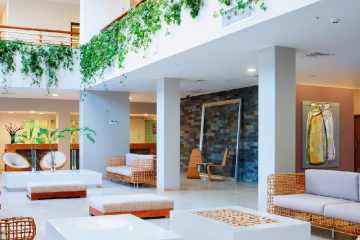 The top luxury hotels in Paracas make for a great base to explore the main attractions of Paracas, as well as nearby Ica – known for its historic pisco and wine producing haciendas – and the Nazca lines. This enigmatic area is located on the coast with pure desert with rolling sand dunes spreading far into the distance. 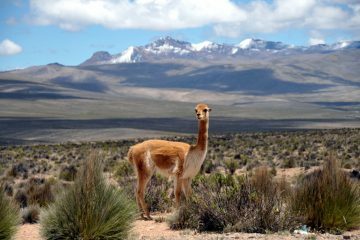 The coastal desert area around Paracas National Reserve is the home of the Pre-Inca Paracas culture, famous for its exquisite textile work.Staying at a luxury hotel in Paracas, you can enjoy a number of activities in the area. 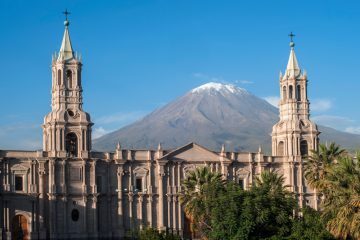 Sip wine and sample pisco at vineyards to see the Pisco production process in nearby Ica. Teenagers will love the ultimate thrill ride of sand buggy rides in the desert. Honeymooners can enjoy private cocktails and canapes in a private pop-up tent in the desert. The Ballestas Islands are part of Paracas National Reserve, and it takes approximately one hour to reach them from the mainland by boat. The islands boast stone arches, tunnels and other sculptural rock formations carved by the waves and wind. 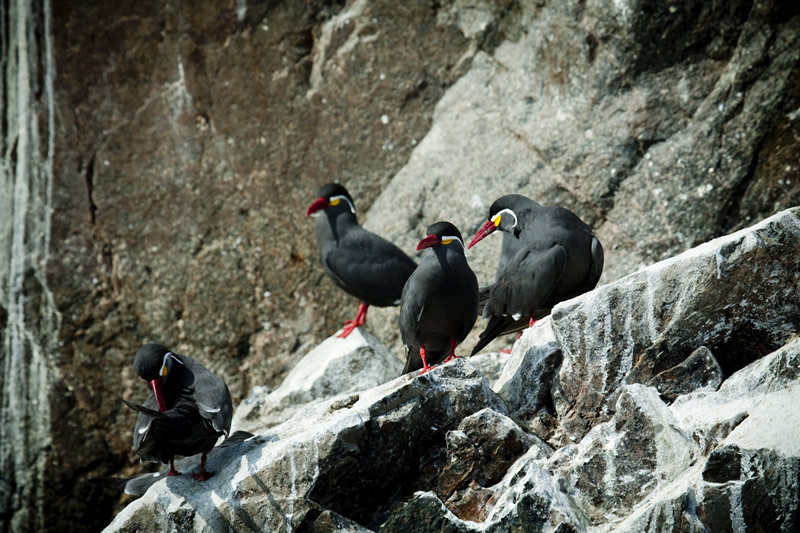 Sea lions, seals, Humboldt penguins and turtles converge with dozens of birds, among them albatross, pelicans and various seagulls. 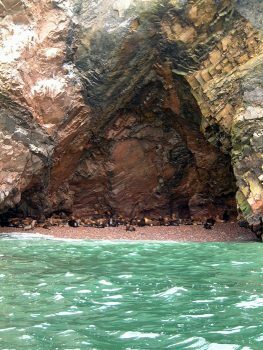 The friendliest inhabitants of the Ballestas Islands are the gregarious sea lions, which have a habit of swimming out to greet passing boats. 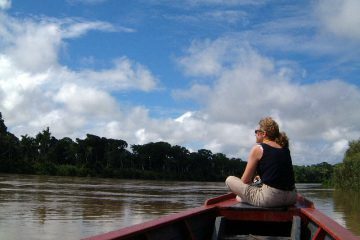 Aracari arranges shared speedboat tours and luxury private yacht tours of the Ballesta Islands and coastline as part of a tailormade trip to Peru. 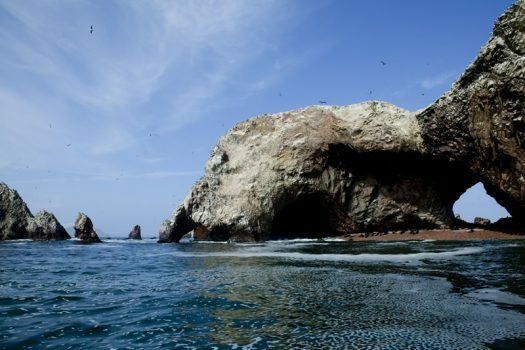 A visit to the reserve can be done as a half day trip from Paracas, to take in the impressive rock formations and striking desert coastline. Seaside restaurants serve up fresh seafood. 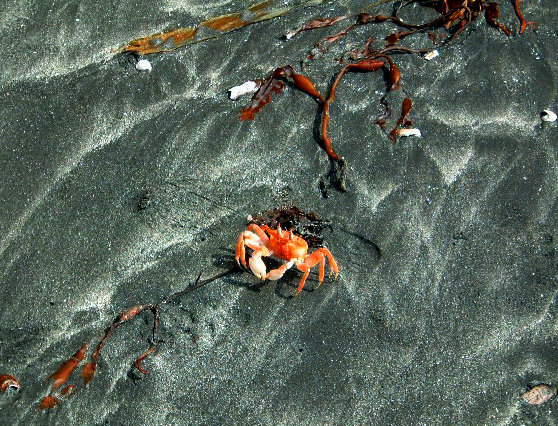 Swimming in the sea can be enjoyed in a couple of calm bays. 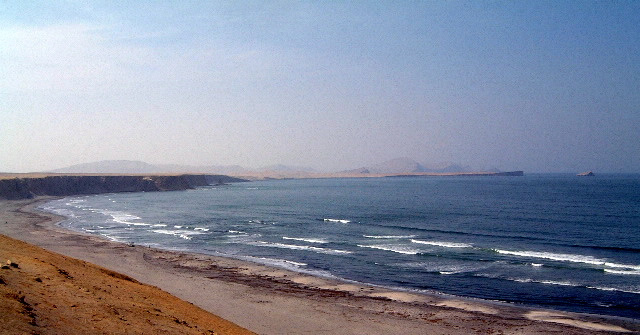 As one of the driest areas in South America, Paracas is ideal for sandboarding and sand buggy tours in the desert. 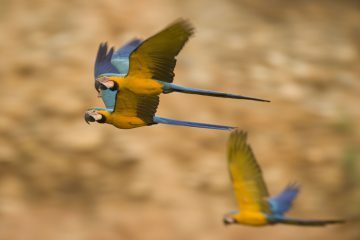 These cam be combined with a pop-up picnic with drinks and snacks in the desert, which can be enjoyed by families and couples alike. 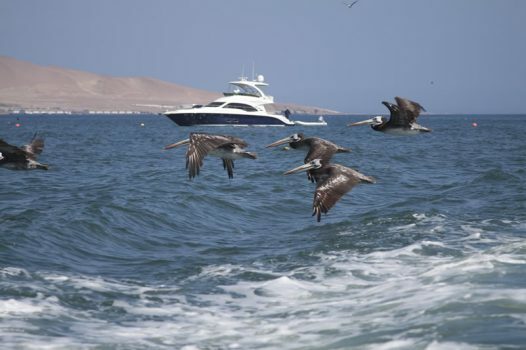 Paracas is notoriously windy, with average speeds of 15 kilometers per hour. The top gusts, known as ‘Paracas winds,’ can reach up to 32 kilometers per hour. 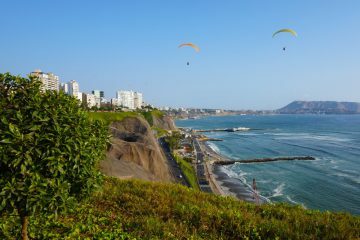 The combination of strong waves and wind has sculpted the landscape’s dramatic rock formations – and also make for ideal conditions for kitesurfers. 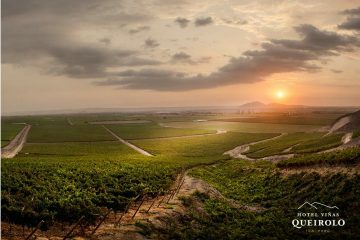 Peru’s national spirit, pisco, is grown nearby to Paracas in the vineyards of Ica. Tasting tours can be enjoyed as a day trip from Paracas, such as to Hacienda Tacama. 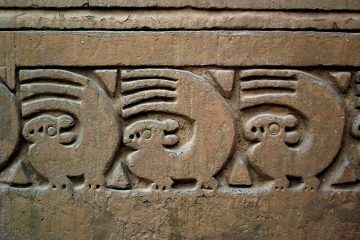 One of Peru’s most notable sites of interest, the Nazca lines are enormous geometric designs and animals etched into the earth, covering 220 square kilometres (85 square miles) of desert plains. 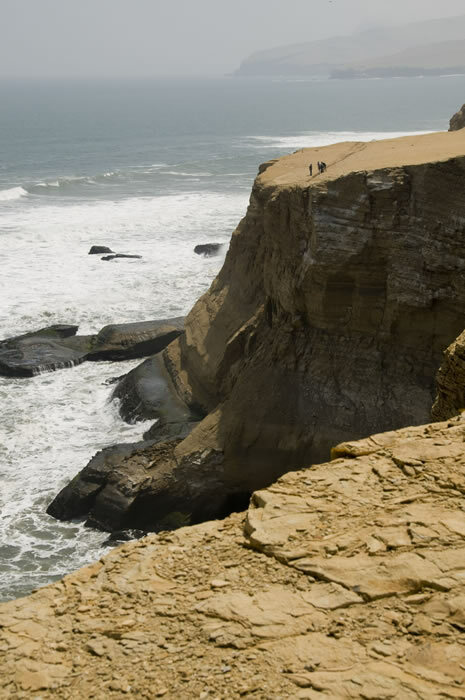 Scenic flights can be taken from the airport of Pisco, just a half hour drive from Paracas. Paracas is located 260 kilometers (about 160 miles) south of Lima, a 4-hour drive along the Pan-American Highway. 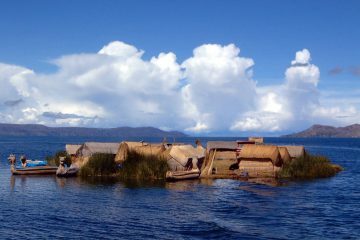 Access to the area is generally by road transfer from Lima to Paracas. 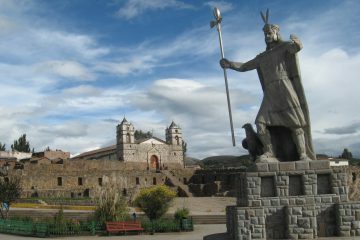 Pisco airport is nearby, approximately twenty minutes outside the town. 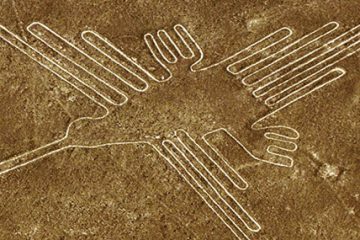 Pisco is one of the airports used to take a scenic flight over the Nazca lines. 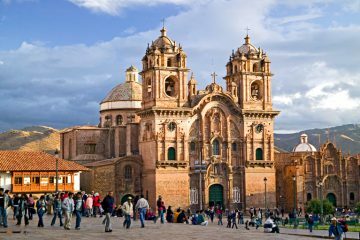 As of 2018, LATAM have limited flight schedules with direct flights between Pisco and Cusco. 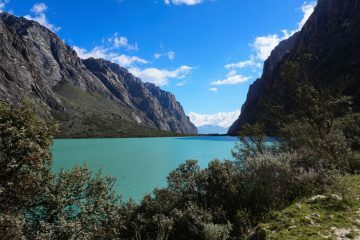 For adventurous travellers, it is possible to travel 6 hours inland on a good, paved road to reach the charming town of Ayacucho, nestled in the Andes. 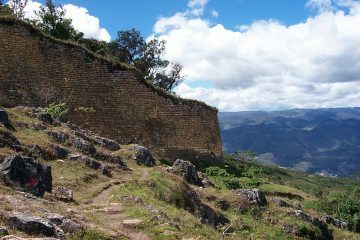 There are a number of attractions in and near Ayacucho, such as the colonial village of Quinua, the Pre-Inca capital City of the Wari Empire, Wari, and the magnificent and little-visited ruins of Vilcashuaman. 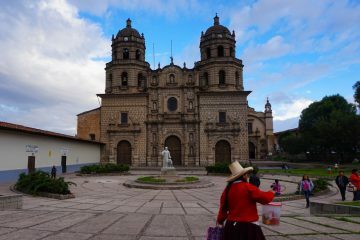 There are flights back to Lima from Ayacucho. 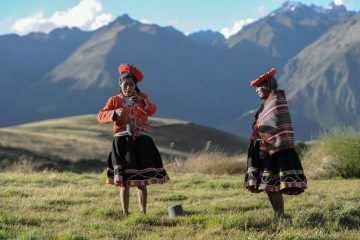 Peru’s southern coast is a year round destination. 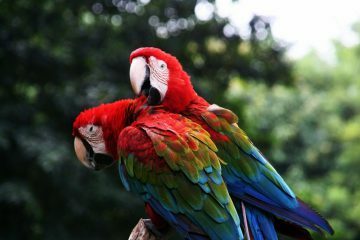 It is hotter with more sunshine from December to April though generally there is sunshine all year round. 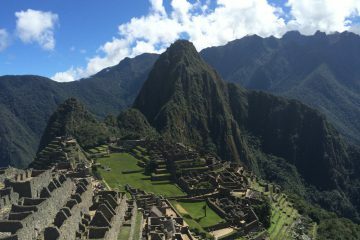 We recommend avoiding visiting over Peruvian public holidays, when families in Lima descend on Paracas for long weekends, filling up the hotels. 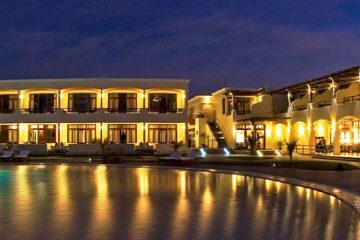 The best luxury hotels in Paracas include the Luxury Collection Paracas and La Hacienda Bahia Paracas Hotel. 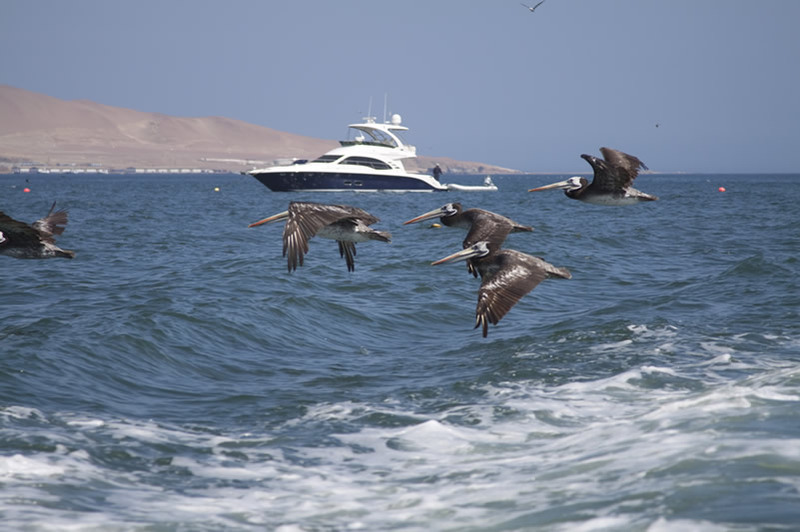 Paracas is not a beach town, but it is right on the coast. 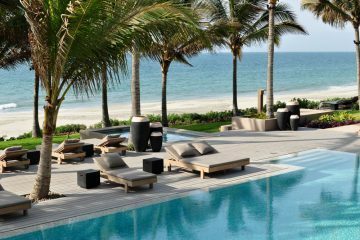 The best hotels have swimming pools overlooking the sea. For beaches, you can instead head into the Paracas National Reserve. 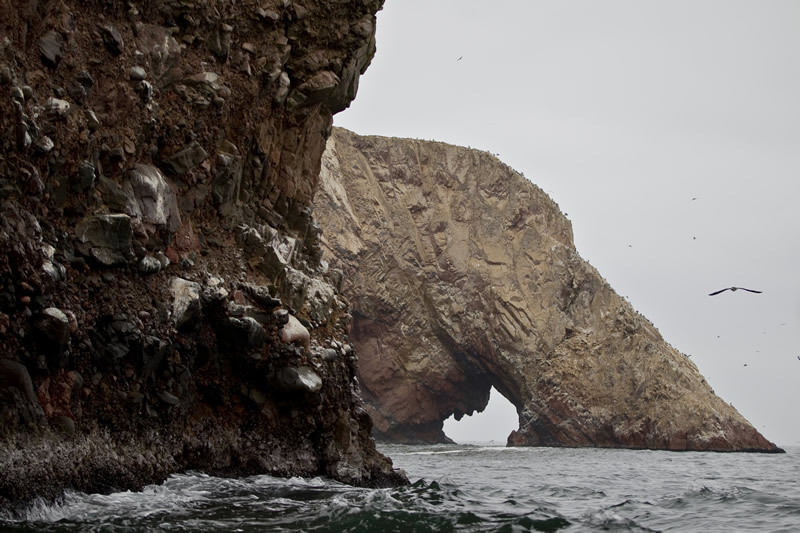 Alternatively to staying Paracas, you can base yourself in nearby Ica. 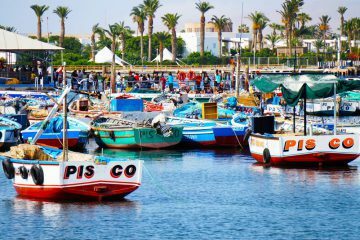 These towns are close to each other and either can be used as a base to explore the attractions of the area. 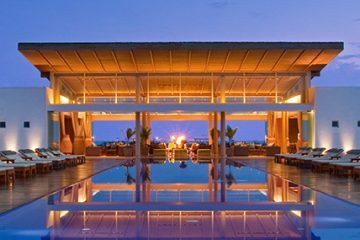 Here are some of our favorite properties in Paracas.